Fall is officially upon us, and we've even had a few short-lived snowfalls here and there. But the leaves are still gorgeous shades of gold and red, which will hopefully last through this weekend for our engagement photos. 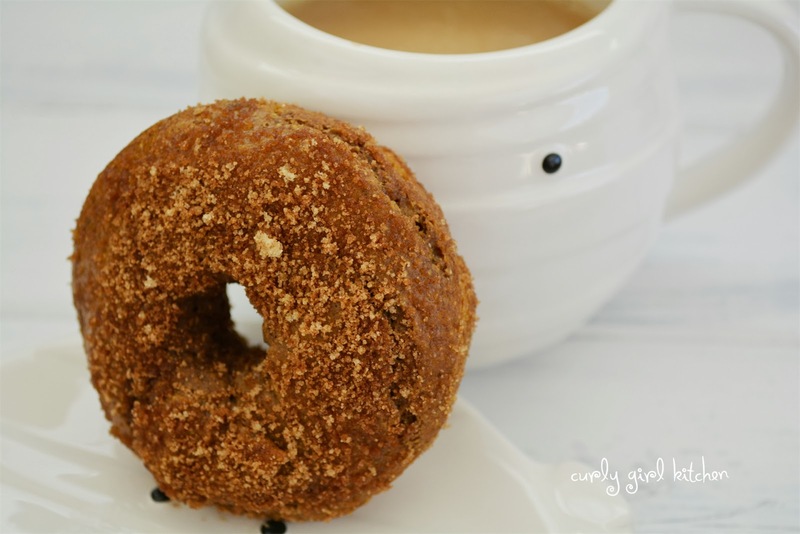 Nothing says fall like pumpkiny things, so a few weekends ago, I baked a batch of pumpkin doughnuts for breakfast on Saturday, with warm fall spices and espresso powder in the batter. 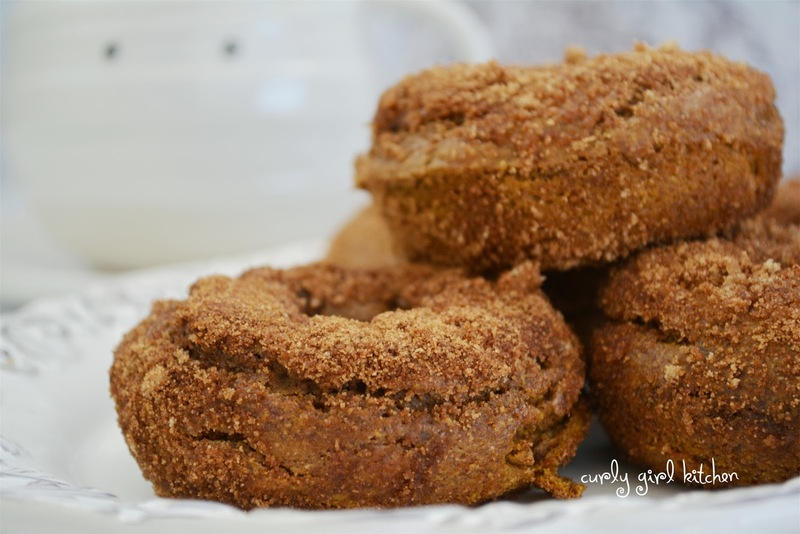 The espresso powder really made the recipe, and because of the coffee flavor, I've named these Pumpkin Spice Latte Doughnuts. 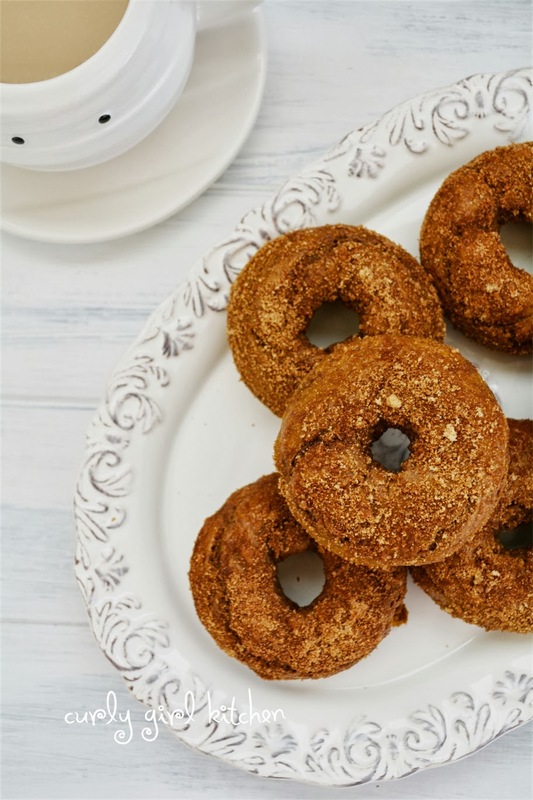 After baking, the hot doughnuts are brushed with a little melted butter and then coated in brown sugar and cinnamon. 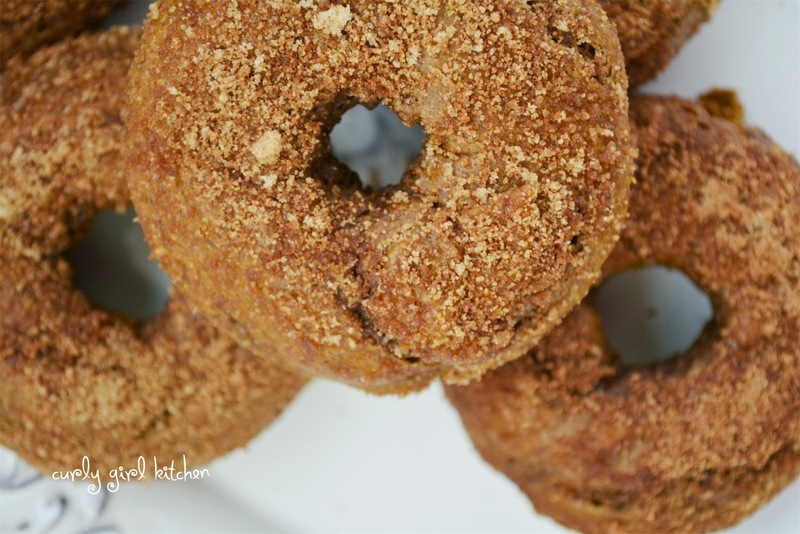 This is a modestly-sized recipe - only six doughnuts - which is just perfect for a few people. In other words, two for me and four for Jamie. 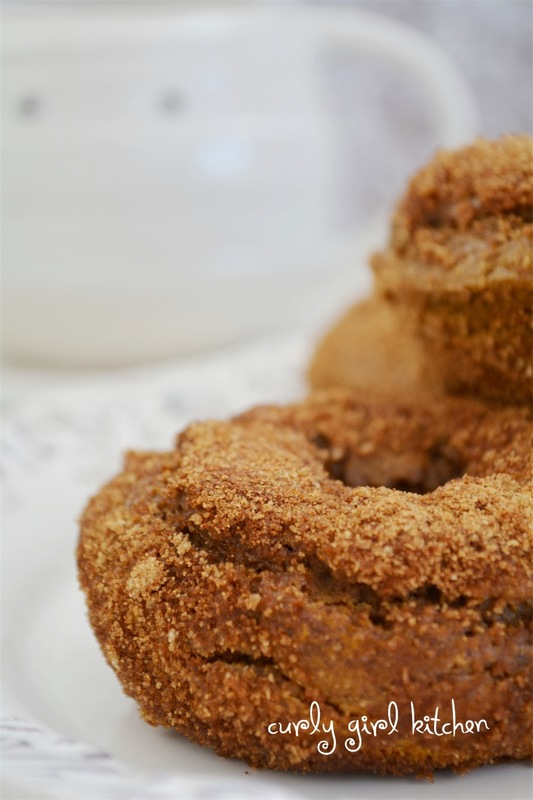 In a bowl, combine the flours, sugar, espresso powder, spices, salt and baking soda. 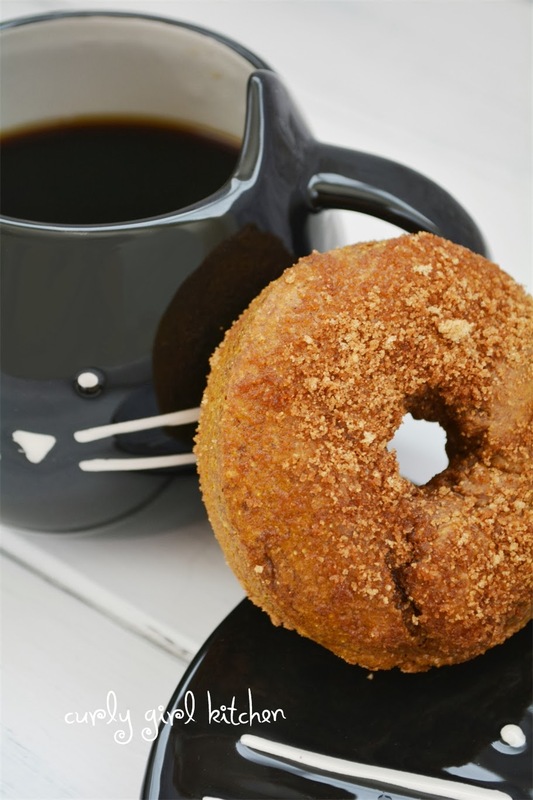 Add the pumpkin, sour cream, egg and vanilla and mix until well combined. Batter will be thick. Scrape into a piping bag or plastic baggie; snip off one inch from the corner and pipe the batter into the doughnut pan. Bake for 8 - 8 1/2 minutes, until golden brown and a toothpick comes out clean. Cool in the pan for one minute, then turn out on to a wire rack. Melt the butter; in a separate small bowl combine the brown sugar and cinnamon. 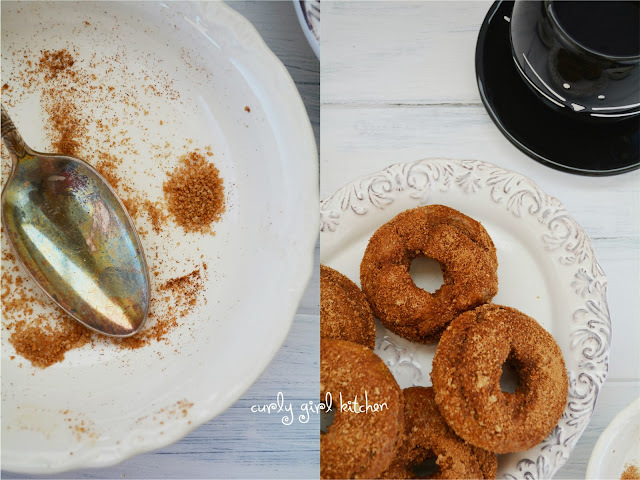 Brush the hot doughnuts with the butter, then coat in the sugar/cinnamon mixture. Serve warm.